One of the biggest news this week amongst K-Pop fans is the Snoop Dogg Korea concert reveal. If you have not heard, then yes, you read that right, Snoop or Snoop Lion, as he wants to be called these days after his conversion to the Rastafari movement, is rocking the Olympic Park Soccer Stadium in Seoul, South Korea on May, 4, 2013. So, no, he is not converting to K-Pop, but! guess who makes a guest performance on his first ever concert in Korea’s capital? K-Pop superstars 2NE1! If you don’t know who this girl group is, why? you are probably living under a rock. This pop quartet is the group behind the hits like “I Don’t Care”, “Fire” “Lollipop“, “Can’t Nobody” and “I Am The Best“. And they are not just your ordinary sing and dance group. They are also brand endorsers (Fila in 2009, Adidas in 2012), a certified YouTube sensation (with 400 million video views as of 2013), multi-awarded record artists, and concert performers (with The New York Times naming their Prudential Arena show in Newark, New Jersey as one of the best concerts of 2012). 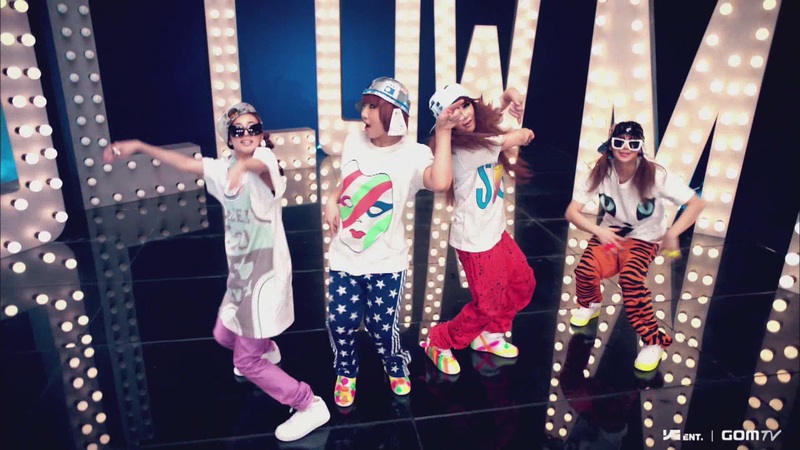 As arresting as their music is, 2NE1 is also capturing the world’s attention with their fashion and sense of style. So as 2NE1-loving Coco-Fashionistas, we show you how this girl group, who started five years ago, has sold over 27 million digital downloads and did so in their own brand of style.